Available in three sizes: 14"x21", 21"x32" and 28"x42". We use all new wood and distress it by hand for our unique look. 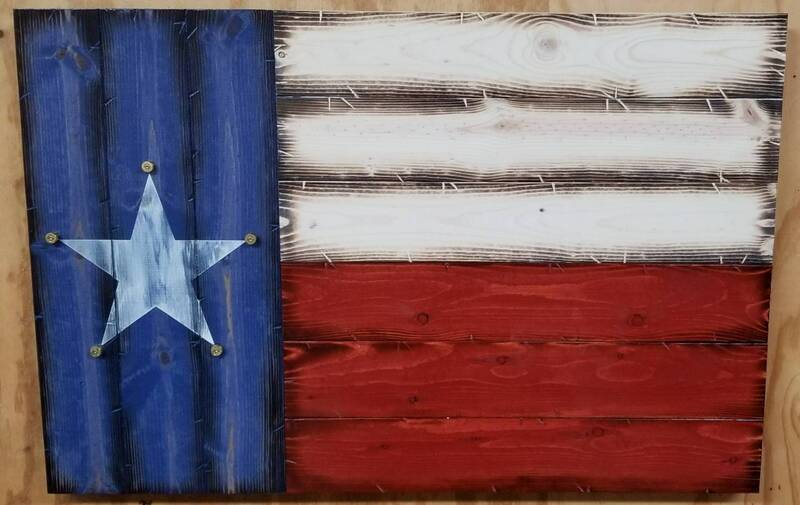 The wood is stained and the star is painted on. A clear coat is applied for a beautiful finish. We typically use .45 or .40 caliber casings. We do have some other casing sizes available. If you have a preference on what caliber is used please let us know.